Of the circa 660 paintings at Dulwich Picture Gallery, some 215 originate from the Northern or Southern Netherlands. In 2014 the Gallery, in conjunction with guest curators Michiel Jonker and Ellinoor Bergvelt, will publish a complete catalogue of the collection of Dutch and Flemish paintings, as the second volume of an ambitious series of scholarly catalogues. The first volume on the British collection was written by John Ingamells and published in 2008, while a complete catalogue of the French, Italian and Spanish Schools will form the third volume. Many new discoveries have emerged during research into the collection, and indeed many of these new attributions are still subject to discussion. A small number of German paintings have received new attributions and will be added to the catalogue, along with a few British ones overlooked in the catalogue by Ingamells (2008). The CODARTfocus on 2 December 2013 will offer the perfect opportunity for CODART members to come together in Dulwich and take a closer look at this unique collection. During the CODARTfocus meeting many of the most celebrated paintings on permanent display will be discussed, as well as others which will be taken out of store and returned from long-term loan elsewhere specially for this occasion. Most of the discussion will be focused on new attributions. Below are three of the case studies that will be addressed during the expert meeting. Sir Anthony van Dyck’s ‘Samson and Delilah’ is considered the most important Flemish painting in the collection. Painted during the artist’s training period in Rubens’s studio, it was probably meant to emulate Rubens’s version of ca. 1615, now at the National Gallery in London. During the expert meeting the curators will provide new information about the links between these two masterpieces, about their iconography and also about ‘Samson and Delilah’s early provenance – thatthe painting had been in the Northern Netherlands for a longer period that previously considered. It is remarkable that this painting was attributed to Rubens during the nineteenth century and as such it was copied extensively. Attributed to Philips Augustijn Immenraet by Marijke de Kinkelder (Netherlands Institute for Art History, RKD), the painting ‘Woodland Landscape’ was previously considered to be by British hands. The figures in the painting are certainly not by Immenraet and this issue, along with other landscapes that have been given new attributions will be discussed during the expert meeting. Immenraet is considered a ‘little master’, but thanks to recent restoration his talents have become more visible. An icon of Dulwich Picture Gallery, painted by Rembrandt in 1645. During the expert meeting new suggestions about the history and meaning of the painting will be brought to the fore. 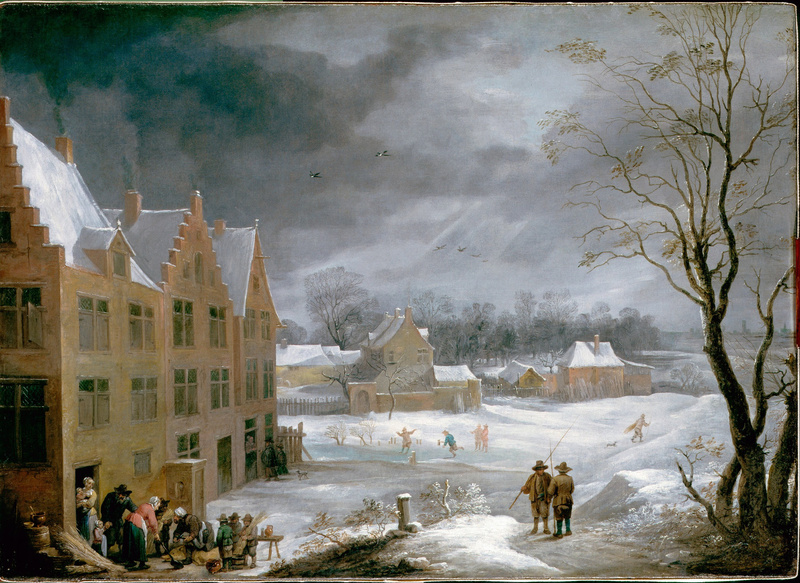 Once owned by the French art critic, Roger de Piles, this painting played a central role in his discussion on pictorial values and the differences between Northern and Southern (European) art. The painting remained in French collections for many years and was given a ‘pendant’ in the eighteenth century: a woman’s portrait by Rembrandt’s student Govert Flinck, now in the Metropolitan Museum of Art in New York. As a result, both paintings were reshaped into the lunette form we see today.